The casita where we live while Moonshadow is undergoing her refit sits up on a rise where the afternoon sea-breeze creates a nice updraft for the local seabirds and vultures. 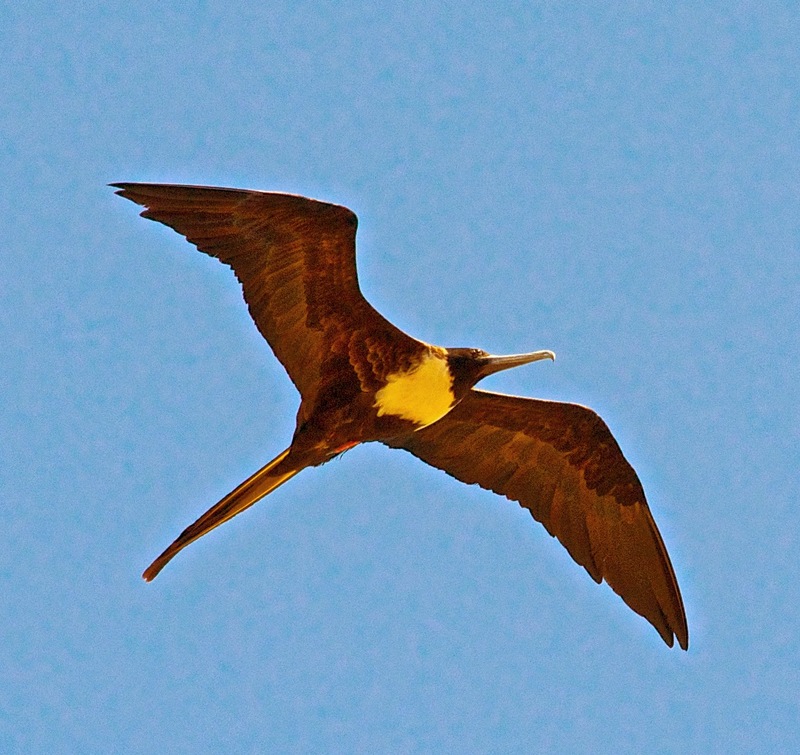 They can go for long stretches without ever flapping their wings, and seem to be just having fun. 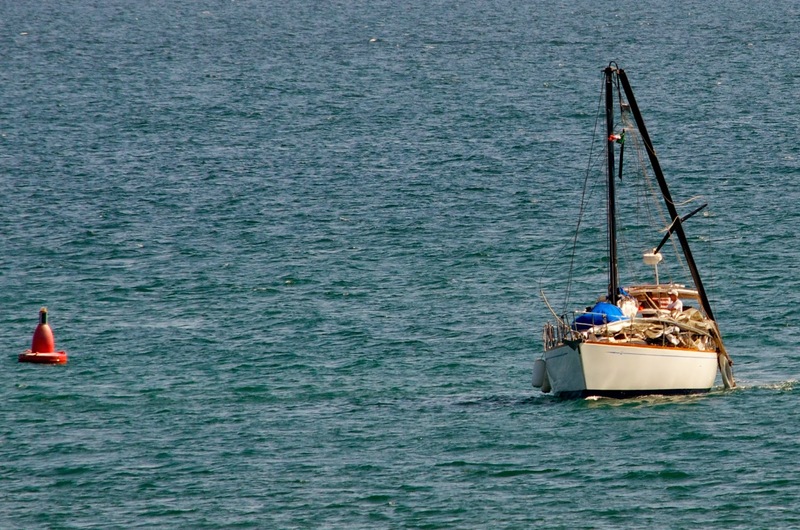 While I had my long lens mounted on the camera, I spotted a boat with a distinctively short mast. As I focused the lens on Sirena, I realized her crew was dealing with a recent dismasting. That stubby mast was the section from the deck to the first set of spreaders where the mast broke. After Sirena got back to the marina, we walked over to get the owner's email so we could share what we saw from our house. That's where we met Ed and Connie, who were dealing with the aftermath of today's disaster a lot better than we think we would have. While sailing with friends in flat seas with just 15 knots of wind, the bolts on Sirena's starboard upper shroud chainplate broke. All five of them. The chainplate ejected through the deck and everything above the lower shrouds connection to the mast at the lowermost spreaders went over the side. Fortunately for Ed and Connie, they had six experienced sailors aboard, and nobody was hurt. ...and there is an endless variety of food and entertainment choices. The refit has taken long enough to span some of our life's milestones like John's 62nd birthday, celebrated with San Diego Yacht Club friends Rob and Lynn Britton aboard their Olympic 47 ketch Aldebaran. 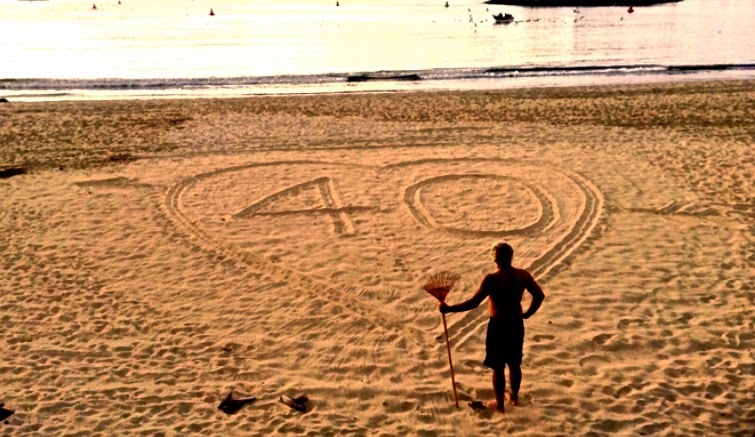 And we celebrated our 40th wedding anniversary. For a short video of John's surprise for Deb, click the video below. We enjoyed an tasty meal at Roberto's Xocolat Restaurant high above the village of La Cruz, with an excellent sunset view of Puerto Vallarta in the distance. 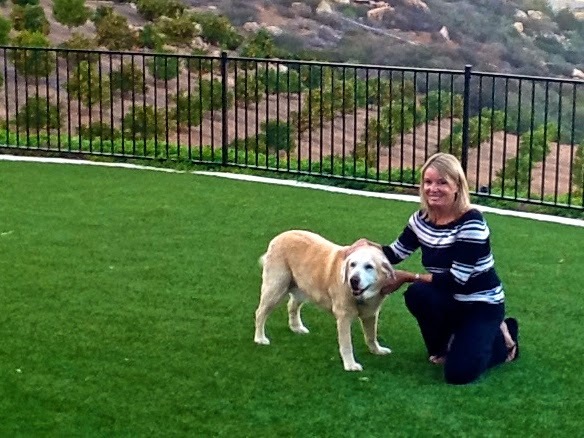 The next day, Deb flew back to San Diego for a baby shower and time with the family which, of course includes sweet Casey. Meanwhile, John stayed close to the action at the La Cruz Shipyard and made friends with some of the local iguanas that spend their days sunning on the boatyard fence. On the beach in front of our temporary home in La Cruz we can see dogs running free, horses, cars, ATVs, dinghies, fishing pangas, parties with coolers full of beer, barbeques, bonfires, fireworks and mostly people taking a break and having a relaxing good time. 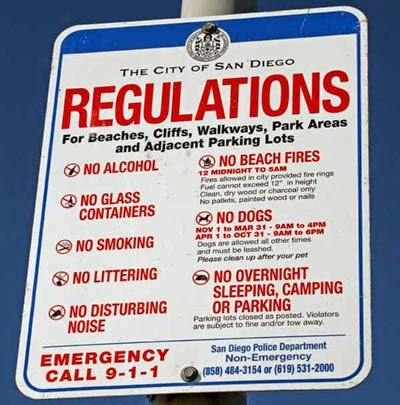 We haven't seen drunks, fights, arrests, cops, lawsuits of other forms of party pooping interference. Somehow, here in La Cruz, they've figured out how to share a public beach without a lot of government ordinances. 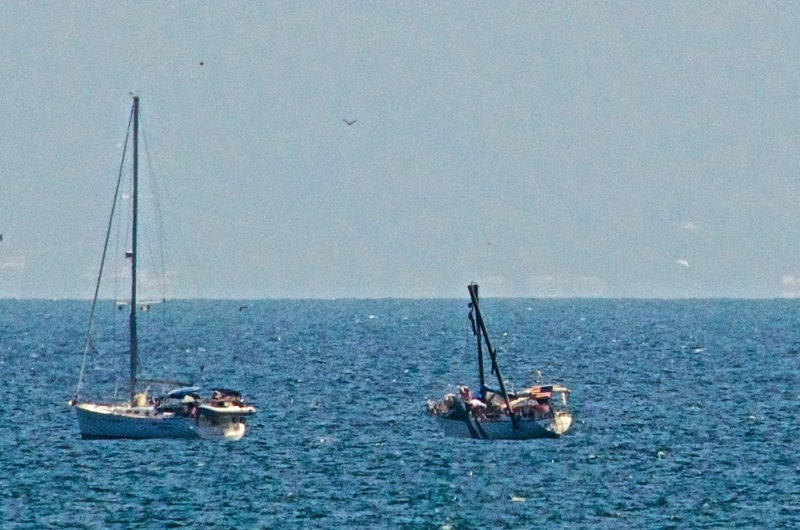 Another fun event to help pass the time was the arrival of the San Diego to Puerto Vallarta Yacht Race. 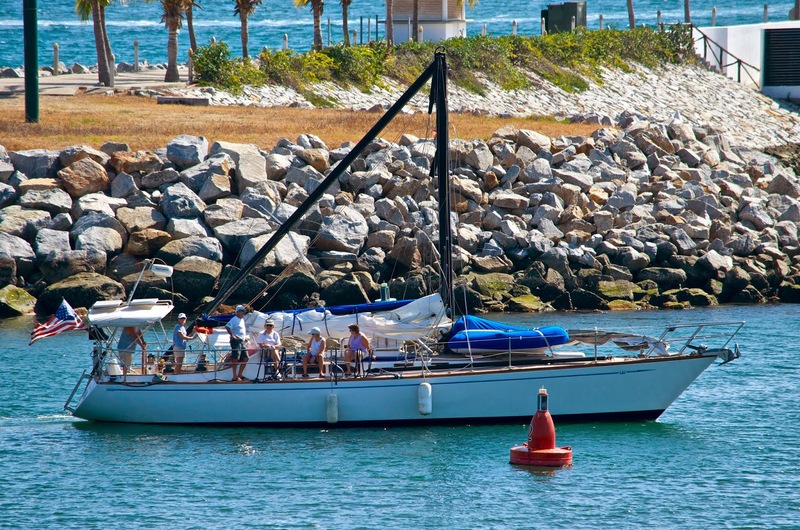 Our friends from the Bell Family of San Diego and Los Angeles raced aboard their Lapworth 50 Westward. We had hoped to have Moonshadow in the water in time for the finish, but it wasn't to be. Nevertheless, we had a fun evening joining the Westward crew at the awards banquet. While the PV Race finishers were trickling into town, competitors in the 2014 J-24 North American Championship could be seen from our casita entering the harbor in La Cruz, and in the background the first and second boats to finish the PV Race sit tied to the dock after jetting down from San Diego in record time. Orion finished first, covering the 1000 mile race in 2 days 8 1/2 hours. 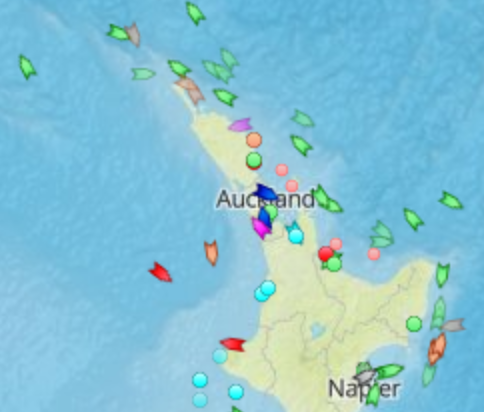 That's an average of over 17 knots! 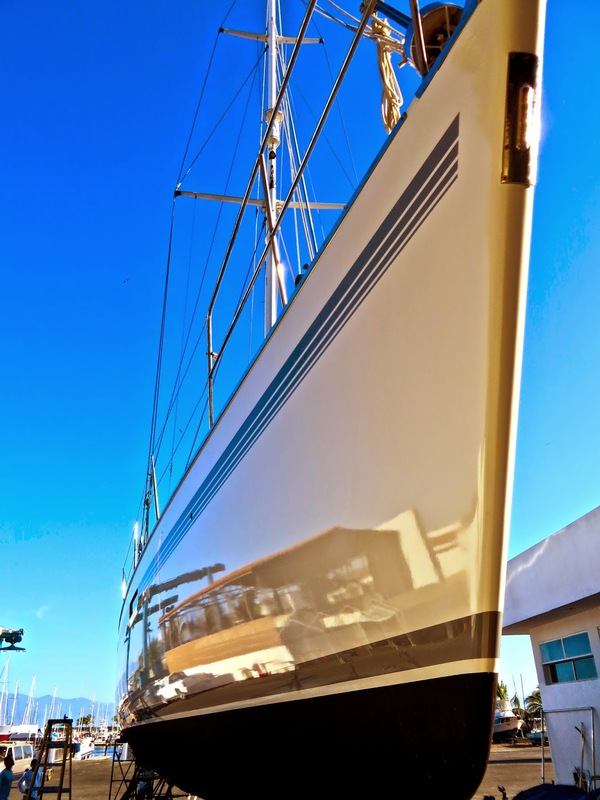 While all this was going on, the hard working team of Peter Vargus's Sea Tek at the La Cruz Shipyard were busy making Moonshadow look like new again. Everything was removed, labeled and put into the shed so Moonshadow's decks could be sanded, filled, primed and painted. Then all that stuff was found and put back on. There must have been over a thousand nuts and bolts that were removed and replaced. Click the video below for a short time lapse view of Moonshadow's transformation. A tradition we were happy to put on was the pre-launch "splash party" at the boatyard. On hand were the entire Sea Tek crew and some of their families, the La Cruz Shipyard crew, and other yacht owners. Everyone got to enjoy the carne asada that Peter Vargus had marinated the previous night with all the traditional Mexican fixin's. We'd never enjoyed time in boatyards in the past (who does? ), but we were surprised to find this refit experience was really great. We came to get some much needed work done to our boat, but ended up making friends with the whole crew who we found to be sincerely interested in giving us the best possible outcome. Finally, the day came to launch Moonshadow and move back aboard. 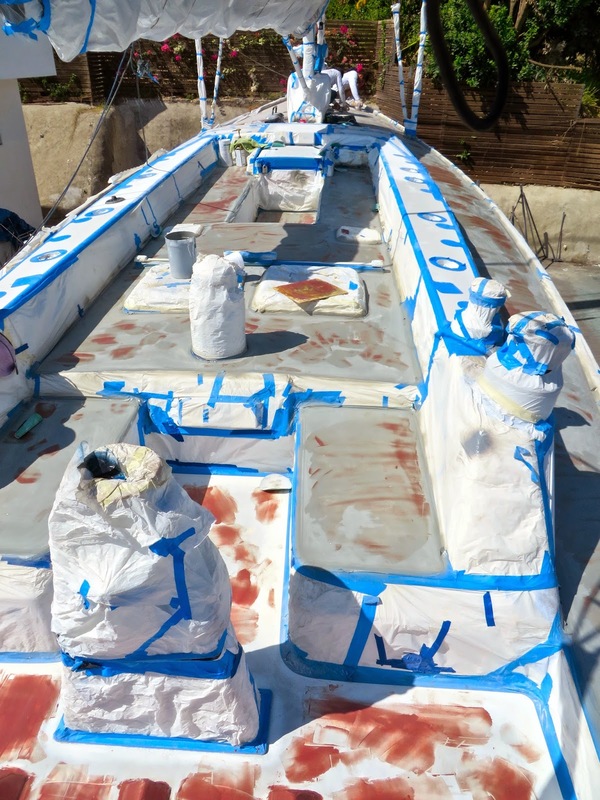 Yes, Moonshadow is back in the water, tugging once again at her dock lines and just itching go for a romp on the Pacific... but just after we moved aboard we found someone to refinish the interior teak so we moved back ashore for a couple more weeks while that is being done. No worries, there's still plenty to discover about our Mexican home away from home. For example in the neighboring village of Bucerias, there's a guy who's wondering just how it is that he's the guy lugging a big tuba up and down the beach. At every turn there are scenes that remind us where we are. And always some entertainment nearby, like the 10th anniversary for the Britannia restaurant where locals came to dance. These Mexican girls performing Tahitian dances were absolutely adorable. And we find ourselves to be pretty entertaining too. Like on the walk home after a night out. That's just the way it goes. Another day, another sunset. Haven't heard anything since Apr 10. Did you get launched and run into the dock or what? Sorry, but yes we did leave La Cruz and all the internet connectivity that goes with that lovely town. We are in La Paz now and have posted the next installment. Enjoy!